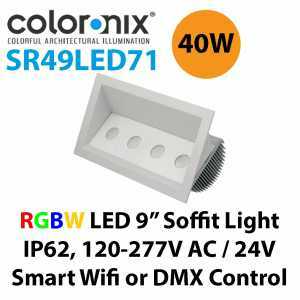 Coloronix Lighting - Aesthetically pleasing RGBW color mixing technologies IP Rated DMX and 24V Options - Akwil Ltd.
Coloronix Lighting There are 3 products. InternaMix: Aesthetically pleasing-color mixing technologies, providing a smooth 1-color light output at the fixtures level with no RGB pixelation at close proximities or rainbow effects in shadows. DMX Direct: Allows control of each unit with a separate four-channel DMX address. No need to access remote data enablers for data feeds. Listed by Nationally Recognized Testing Laboratories like UL and ETL, to ensure utmost safety and no job site issues with site inspectors. 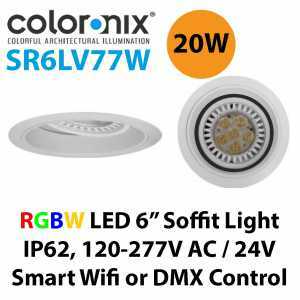 RGBW Color Packages : Utilizes one Red, Green, Blue and an additional white LED to allow for a true white design and allow for pastel colors not able to be produced with typical RGB fixtures. 120V Line Voltage direct input allows for quick and easy installation. No need to install additional power supplies or calculate voltage drops. ColorRay: Pre-Programmed Data-Enabled fixtures come standard for use with lower budget installations where advanced DMX Controls are not needed. 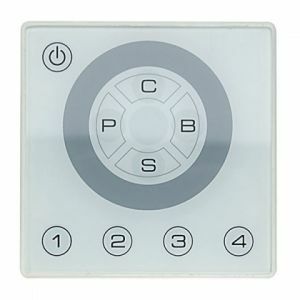 Stand-alone static and dynamic sequences can be called up using on board DIP switches. One-color output reduces unsightly views of isolated rainbow like striations and rainbows. 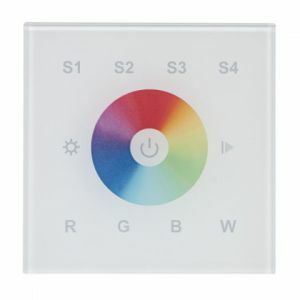 Smooth and flicker-free dimming of all colors down to 1% using color mixing and dimming technologies. 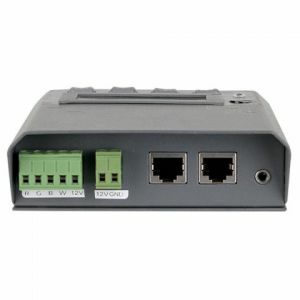 The MADRIX LUNA 4 reliably distributes DMX512 data over long or short distances using Ethernet network or USB. 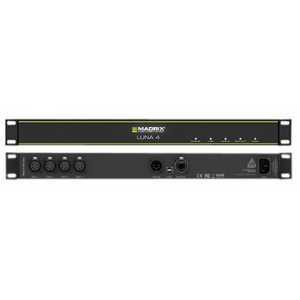 The MADRIX USB one allows you to control 512 DMX channels using the MADRIX® software. 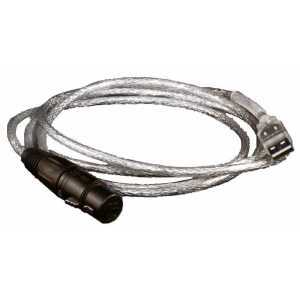 Mainly used for DMX input, an additional MADRIX KEY (a software license) is required for DMX output. 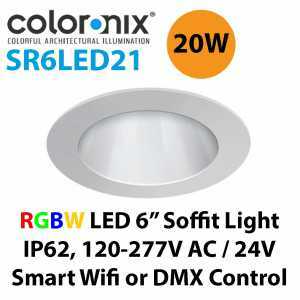 Do you have a question about one or more of our Coloronix Lighting products? Click below to contact us.